1. Understand the Magnitude of Presence – Empower yourself without overpowering others by developing an authentic Personal Brand with your dynamic holistic image – both internal and external. 2. Become a Brand New You! Understand how identifying your Personal Brand can empower you to know yourself and better communicate your intrinsic value to others. 3. Experience Your “True Wealth” Potential – Use your Personal Brand to build an Empowered Presence that can generate more relationships, more influence, more money. Today, more than ever, both first and lasting impressions count. You are expected to differentiate yourself and articulate what makes you exceptional. It is about the complete package! Your ABC's – Appearance, Behaviour and Communication – must all align with your Personal Brand. When they do, you will have an Empowered Presence that ultimately can lead to more true wealth – success, happiness, and freedom of choice. EMPOWER YOUR PRESENCE. 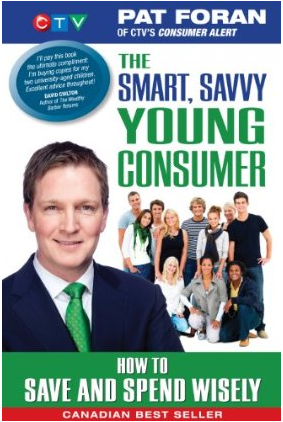 This is a must-read book for ALL generations – Gen Y (18 to 33), Gen X (34-48) and Boomers (49+) – who want to invest in their best attributes, passions, and skills and market their unique promise of value as an important part of their ongoing personal success.